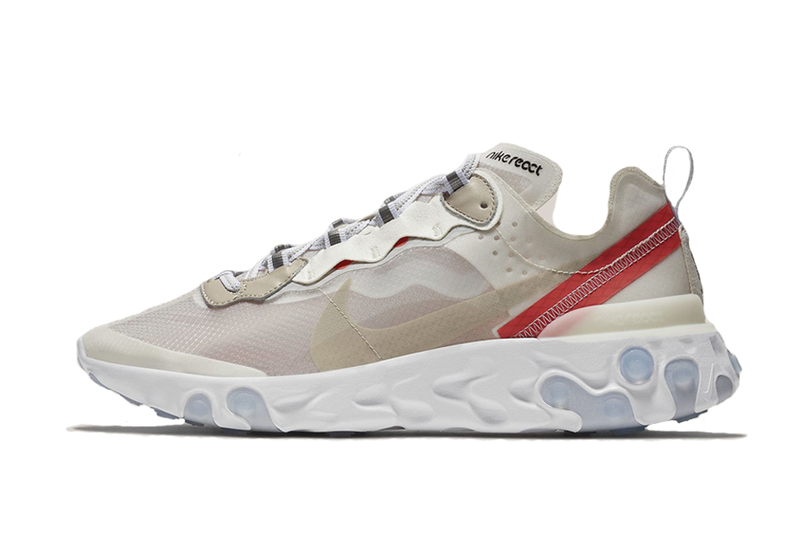 After an initial Asia, Latin America and Greater China sell-out drop, Nike‘s highly-anticipated React Element 87 runner is gearing up for its North American release. Set to release in both a “Sail Light Bone” and “Anthracite Black” colorway, the new footwear option from the sportswear giant captivated sneakerheads with its progressive functional design. Displaying a stripped-down aesthetic, the React Element 87 features an upper constructed of a unique translucent TPE yarn accented by exposed stitching, exterior heel taping and trail style laces. While the newly-developed drilled React sole and embedded segment rubber outsole on the shoe provides a new avenue of superior cushioning and traction while challenging conventional footwear construction. Priced at $160 USD, the Nike React Element 87 North America release is set for Friday, July 13 at the retailers included in the list below. In case you missed it, take a first look at Nike’s upcoming React Runner Mid SP SOE. On-Foot Look at the Nike React Element 87 "Royal Tint"
The Nike React Element 87 Goes Bold With "Volt" and "Racer Pink"
Kingdom & Zalma Bour Connect For "Getaway Kind"
Something to add to your playlists. A busy year for Verdy. In tribute to the dad sneaker.